Known to many as the “Crying Indian,” Oscar “Iron Eyes” Cody had a successful career portraying Native Americans in more than 200 films and countless television shows over his 64-year career, culminating in one of the most famous and successful ad campaigns of all time in which he was depicted as a Native American shedding a tear over the rampant littering problem in America. Ironically, however, Cody was actually the son of two Italian immigrants to the United States. Born on April 3, 1904 as Espera Oscar de Corti, Cody’s parents were both Sicilian immigrants (Antonio de Corti and wife, Francesca Salpietra). He grew up in Gueydan, Vermilion Parish, Louisiana, where his parents ran a grocery store. After his father and mother split up, Cody joined his father in Texas, where the family surname was shortened to just Corti. Oscar and his brothers, Joseph and Frank, eventually took off to California (supposedly after being exposed to movie making when a film crew used their farm as a set), changed their last name to Cody, and began working in Hollywood. Throughout his career, despite several actual Native American actors being highly skeptical of his supposed heritage, Cody claimed that he was of Cherokee-Cree descent. Besides other facets of his origin story that changed over the years, he frequently changed the stated place of his birth, perhaps to hide his true ancestry. While his brothers only briefly worked as extras, Oscar enjoyed a successful career portraying, pretty much exclusively, Native Americans. Good at his job, Cody appeared in over 200 films and TV shows and worked with some of the top names in Hollywood at the time including John Wayne (The Big Trail 1930), Joseph Cotton (The Great Sioux Massacre 1965), Steve McQueen (Nevada Smith 1966) and Richard Harris (A Man Called Horse 1970). His roles varied from unnamed “Indians” to famous people and characters, including Crazy Horse and Cuyloga (from A Light in the Forest). 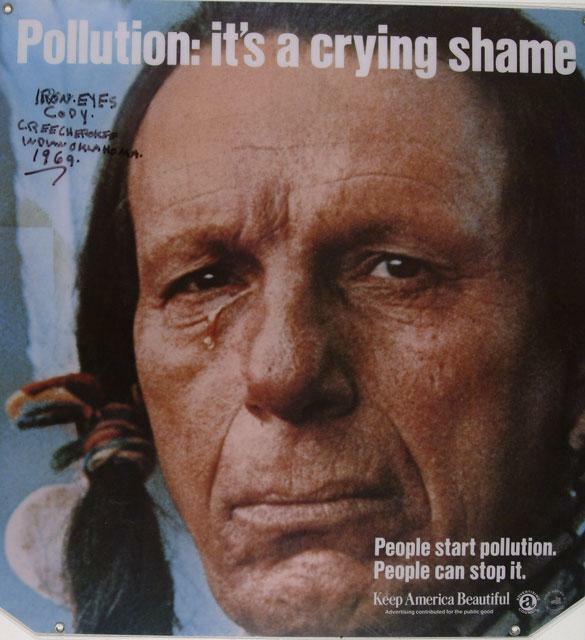 Today Cody is best remembered for his portrayal of a Native American scanning a trash-strewn land with a “tear” (actually glycerol) sliding down his cheek in the famous and extremely successful “Keep America Beautiful” public service announcement (watch it here) that ran in the 1970s and has been credited with being largely responsible for the drastic drop off in littering in the United States shortly after the campaign ran. While he may not have been Native American by birth, Cody’s embracing of Native culture didn’t stop when the camera wasn’t on him. In his home life, he was rarely seen without wearing some form of classic, stereotypical Native garb. 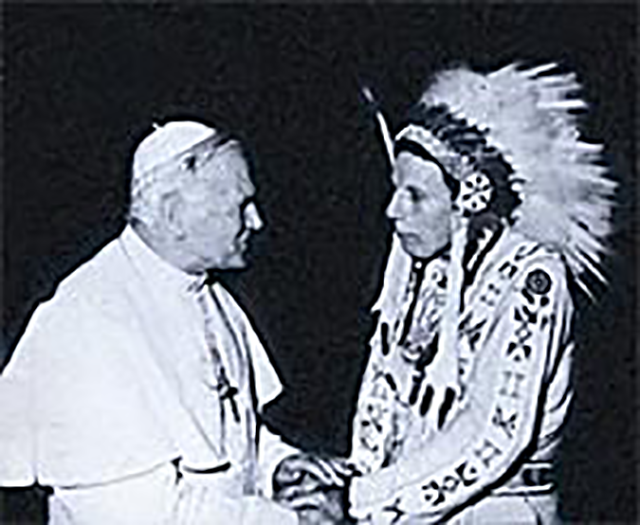 He also married a Native American woman, Bertha Parker, in 1936, and together they adopted two Dakota-Maricopa children, Arthur and Robert “Tree” Cody. 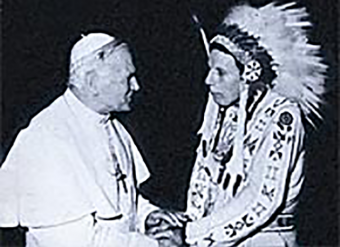 Beyond this, he supported numerous Native American causes throughout his adult life, as well as toured around giving lecturers to various Native American groups encouraging them to hold on to their traditions and stay away from alcohol and gambling. For his lifelong support and promotion of Native American culture, in 1995, he was honored by Hollywood’s Native American community for his work. 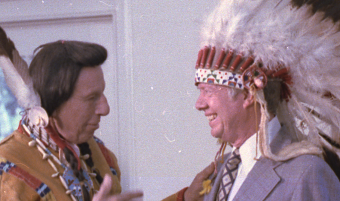 However, they did tactfully acknowledge at the event that despite his claims, he was not actually Native American by birth, but that his contributions to the Native community were far more important than his bloodlines. At this point, the revelation about his heritage garnered little public attention. He died three years later at the age of 94 on January 4, 1999. He’d be ripped apart in today’s politically correct climate. So……no one can prove he WASN’T Native American……. If he says he was of native descent, he was of native descent.